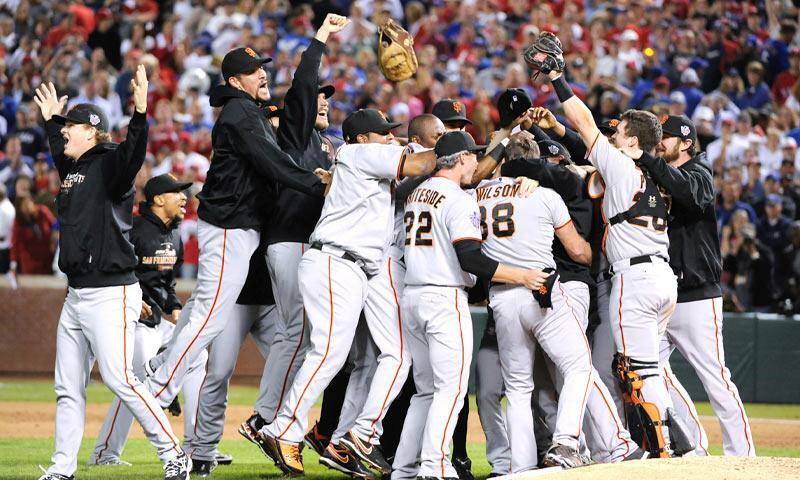 As a San Francisco Giants fan living in Europe, I have been experiencing withdrawals of baseball for the last 10 years. Some years have been better than others particularly those which have seen San Francisco more than 15 games back of 1st place (just can't motivate myself to watch a meaningless Pacific coast night game). In 2002 and 2010 however I crawled into many a workday on 2 or 3 hours sleep from watching pennant and championship races. These ball games are so great, I start to feel guilty that I miss most of the regular season. Back in California the solution was simple; I always had a walkman or car radio tuned to KNBR, The... Sports... Leader. The soothing voices of Kruk and Kuip (back in the day Joe Morgan, Ted Robinson and Jon Miller) have been calming that gut wrenching feeling that is Giants fandom since I was knee high. While living in Europe, I have been aching for a simple solution to listen to radio gold during the regular season without being tethered to a computer. With the 2011 season, my pain has been cured. 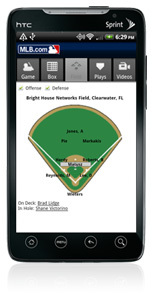 Behold MLB's At Bat 11 app for Android devices (2.1 and up)! One advantage of living in Europe is everything in America is cheaper. A $15 buck app, magically becomes a €10 buck app! 10 bucks to listen to a season of KNBR Giants' broadcasts is a bargain in my book. Along with the audio you get a slew of interesting features. Boxscores, player profiles, schedules, news feeds, play-by-play stats and even a page to customize your favorites in team colors. 10 minutes before the game I took my Samsung out again and logged on. Low and behold there he was Mike Krukow, giddy as a schoolboy with his first erection at the prospect of calling another season of winning Giants baseball. I finally have my KNBR... and the stream is smooth and clear over 3G! It does seem a bit ironic that a phone has now been made to do what a simple transistor radio has been able to since 1954 (coincidentally the last time the Giants won the world series prior to last season). The Freak had a rough start but the G-men managed to get past the D-backs 7-6. The next morning still excited about hearing the game the night before, I thought I would fire up the app and tune into the archived game audio. Since many games don't start until 2 or 4am CET, it would be great to throw on the replay in the morning as I am getting ready for work, during the commute and for the first couple hours while I am in the office (this is what I currently do with Howard Stern's replay) without missing a beat (or in this case pitch). Minus season tickets and a private Concorde, life couldn't be much better! Now where is that page with the archives like they have on the website? Nope not there, the audio button is gone. There are the boxscores, play-by-play, video highlights, but no audio! WTF? No archived audio? No warmup while I shave? No European croissant and espresso breakfasts to the sounds of AT&T Park? No blindly whizzing past the morning work load to Duane Kuiper's tangents? We are always looking for ways to enhance our features and service. If you have any further questions or concerns, please contact our Mobile Customer Support department at 1-866-306-5311. Please everyone email requesting audio archives for Android At Bat 11!